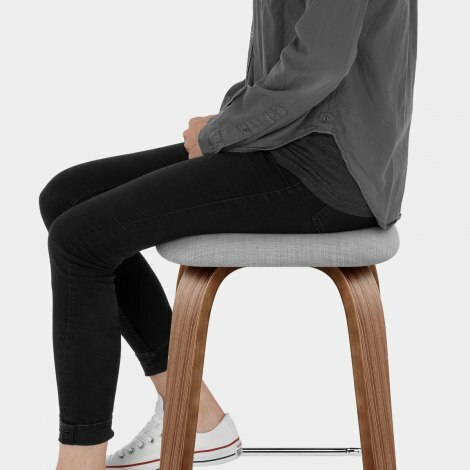 Are you after a unique stool with a cool, Scandinavian design? 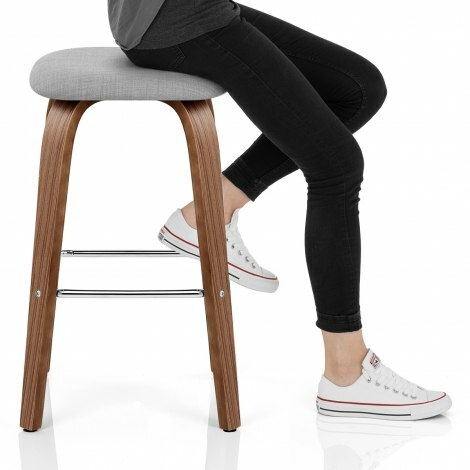 Look no further than the Stockholm Bar Stool Grey, a fabulous combination of contemporary Nordic style and classic furniture techniques. Truly charming, the Stockholm is one of a kind. Formed in a shapely square, the seat pad is densely cushioned, and covered with gorgeous light grey fabric, ensuring this backless design is both comfortable and compact. Fixed at the perfect height for domestic use, the four-legged frame is crafted from natural bentwood with a stylish walnut finish. A square-shaped bracing bar is also included, made of contrasting mirrored chrome, and doubling up as a supportive perch for your feet. Finally, the Stockholm is complete with protective floor plugs, designed to help keep your floor safe from scratches. 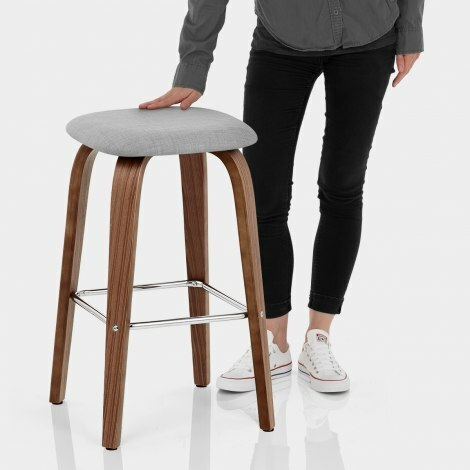 "I am very impressed with the quality of this bar stool"
At first I thought, becuase it’s cheap that the quality will be cheap or it won’t look good as the pictures but they are actually better than the pic and good quality. Bar stool just what I wanted. Good quality. Good price and delivered promptly. Very nice stool. Looks quality, just what I was after. Well designed, well made article, good service, helpful people. I was pleasantly surprised when the stool arrived as it is well made and very stylish. Excellent value for money.